This aha moment and lack of disability peer groups at Georgetown led Tiffany to start Diversability as a student club. Many years later, well after she was active in campus efforts, people continued to contact her about it. These emails revealed that there was a need for a peer-to-peer organization like Diversability on a wider level. 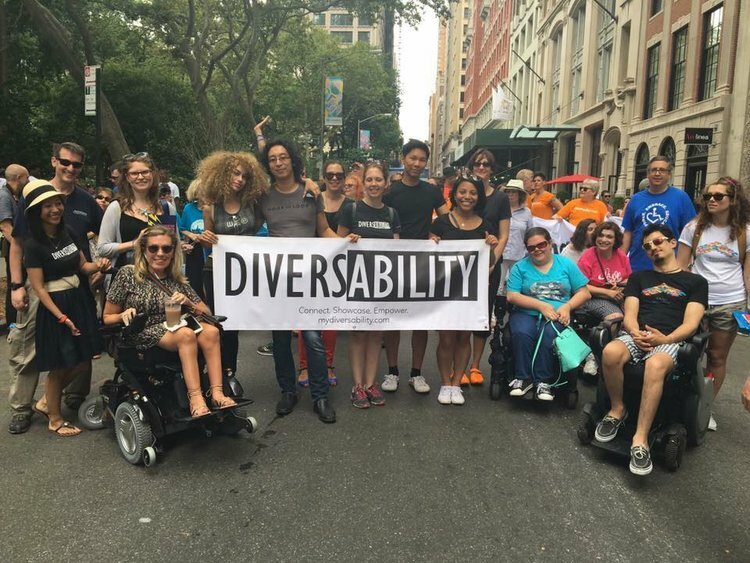 So in 2015, Tiffany launched Diversability as a company, “to do more with the young professional network to facilitate an ongoing conversation” and “look at social context around disability.” Diversability is an events platform that aims to "connect, showcase, and empower people of all abilities doing amazing things," and is now in six cities across the country. When she was nine years old, Tiffany was in a car accident and the nerves in her right arm became so damaged that she lost the full use of it. In that same accident, she lost her father. Tiffany’s disability was “a painful reminder of what had happened,” and for a decade, if someone asked her about it, she recalls, “I’d just start crying.” However, founding and participating in Diversability in college not only became what she was most proud of, but it also allowed her to become more comfortable with her disability. She even started speaking about it and now widely shares her story. The silence that surrounds disability, and particularly in the workplace, is one of the main things Tiffany strives to change. She names unemployment as the number one issue for people with disabilities. “A lot of times the way employers see hiring people with disabilities [is] as a social good, or as something they have to do to meet some kind of quota.” Although some companies have tried incentive programs to hire more people with disabilities, Tiffany calls attention to some of the pitfalls of these programs. Often when an employee is hired through an incentive program, they feel like a pity hire. But if there is no support program, then the position ends up harming, rather than helping, the employee. 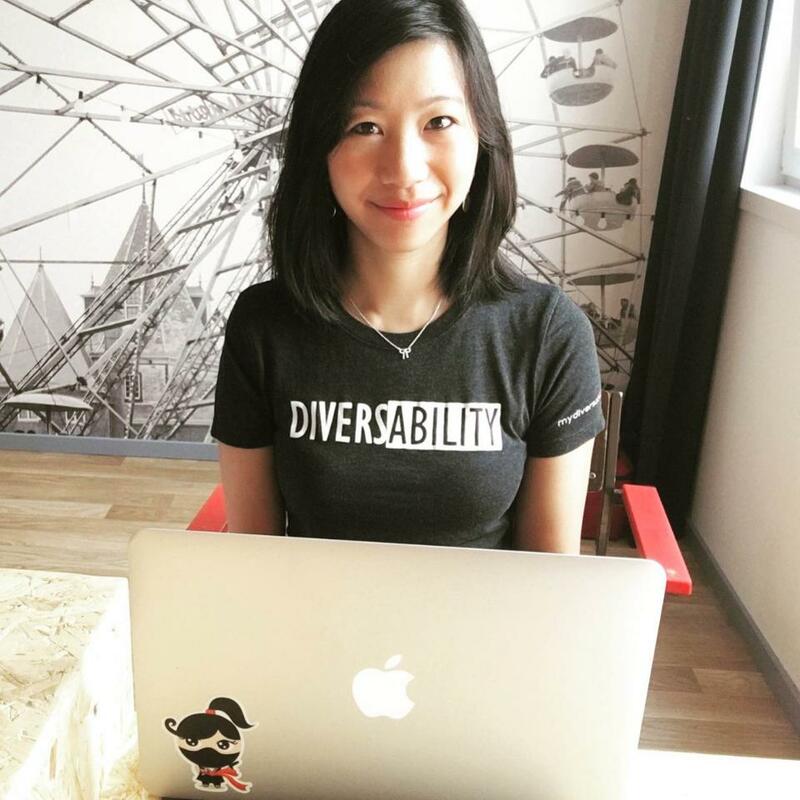 While working in tech, Tiffany saw a lack of conversation, community, and representation around disability. She also came across the assumption in tech that people with disabilities must have jobs that focus on disability, which she works to disprove. Because of this, much of Tiffany’s work is about disability community building in the workplace. When people with disabilities are hired and do rise in the ranks of a company, they need to do more to help those who come after them, Tiffany says. “When you’re at a space you feel you belong, you feel empowered” to be a part of a company’s success. But “when you’re on an island, it’s hard to succeed.” A sense of belonging, as Tiffany says, is one of the most important aspects of success, especially in a field as competitive as tech. This post is part of a series developed by Students for Access, which aims to be a part of the effort to make more people feel they belong in the field by increasing the visibility of people with disabilities working in the industry. For more stimulating conversations, check out our other featured profiles of disabled people working and thriving in tech, coming to the blog in the coming weeks! Additionally, on Tuesday, August 22nd, from 2-3:30 pm PST, Students for Access will be hosting a free webinar “Beyond Diversity 101: Learning from the Perspectives of People with Disabilities in Tech.” To join us, please RSVP. Captioning will be provided.